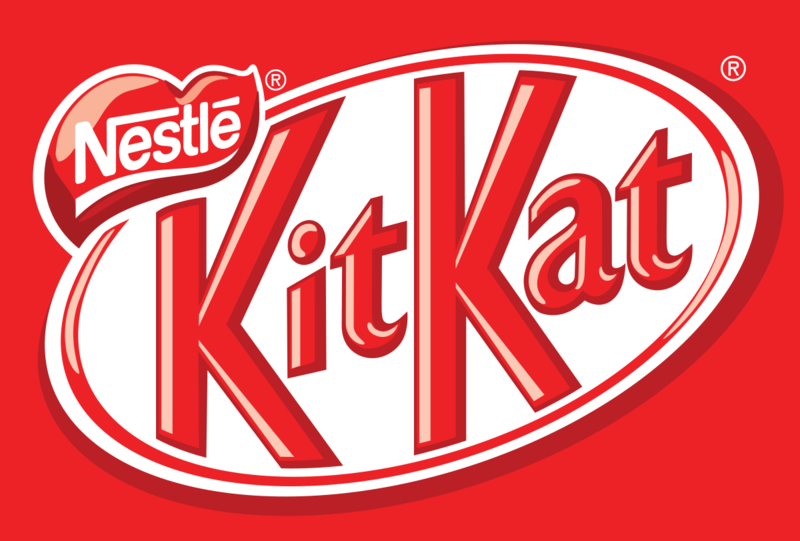 First created by Rowntree’s of York, United Kingdom, and now produced by the largest food company in the world, the Swiss giant Nestle, Kit Kat has been a staple in many pantries since before most of us can remember. The origin dates back to 1935 when the four-finger wafer crisp chocolate bar was launched in London. Back then, it wasn’t known as the Kit Kat but “Rowntree’s Chocolate Crisp”. 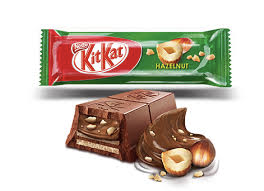 It was renamed to "Kit Kat Chocolate Crisp" two years later and simply "Kit Kat" after World War II. In recent years we have seen many new shapes, sizes, and flavours appear in newsagents and supermarkets, and 2018 was no different. 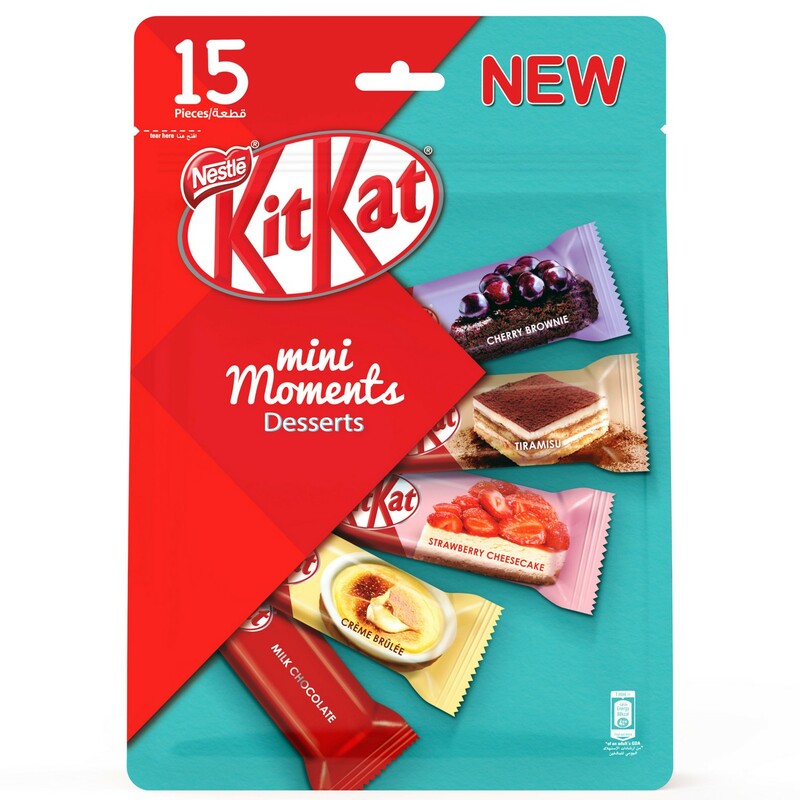 In fact, the confectioners at Kit Kat were so pleased with themselves over the new Mini Moments Desert Pack, which includes delights such as Creme Brûlée, cherry Brownie, Tiramisu, and strawberry cheesecake, they wanted to really show it off in a way that only we, with our partners at MenaMarketPlace WorldWide, can. We knew that we needed to find a way to show something tempting on the screen. We wanted to turn our users’ heads like a kebab shop does to a drunkard's. What we wanted was “I know I shouldn’t but it really does look good” We needed something as visually appealing and tempting as the treats themselves. 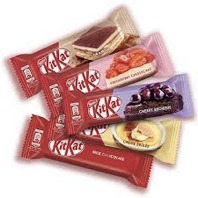 Kit Kat had a variety of flavours that, quite rightly, needed to be shown and needed to be done with no bias or favouritism toward any of them. All the flavours mentioned above were distinct and need to be distinct visually, too. A creative that was changing too dramatically could very well become a mere distraction, and an annoying one at that, akin to the pop-ups of old that would flash away until the user was forced to interact out of frustration. This may generally lead one to develop an idea of a subtle transition between all flavours, almost on a carousel-type creative. But this may well have run the risk of not being noticeable enough to draw even a glance. 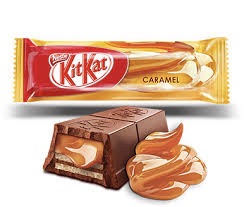 Often, the problem with a product with such a name as Kit Kat is that it is so commonplace, such a known brand, that it becomes easily ignored. In a sense, we get used to such brands. 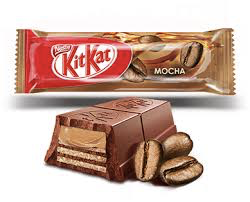 So we needed something that was indeed new, that was visually appealing, attractive, and we needed to present the Kit Kat brand in a new light without taking any of the positive emotions associated with it. 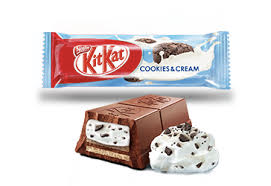 Nestle was offering five deserts in one pack, and we needed to show this off. We created a desktop skin that bordered the screen in classic Kit Kat design blended with the highlights that the latest product offered. A video was added to the header which drew the attention without getting in the way of any on-screen content. 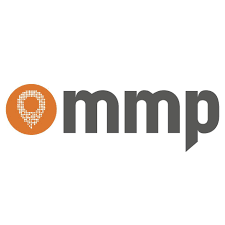 The notion of it being a mere distraction was avoided and the instead we were able to provide a dynamic looking frame for the page by having the scroll function hide the video, smoothly, if the user decided not to take a bite. 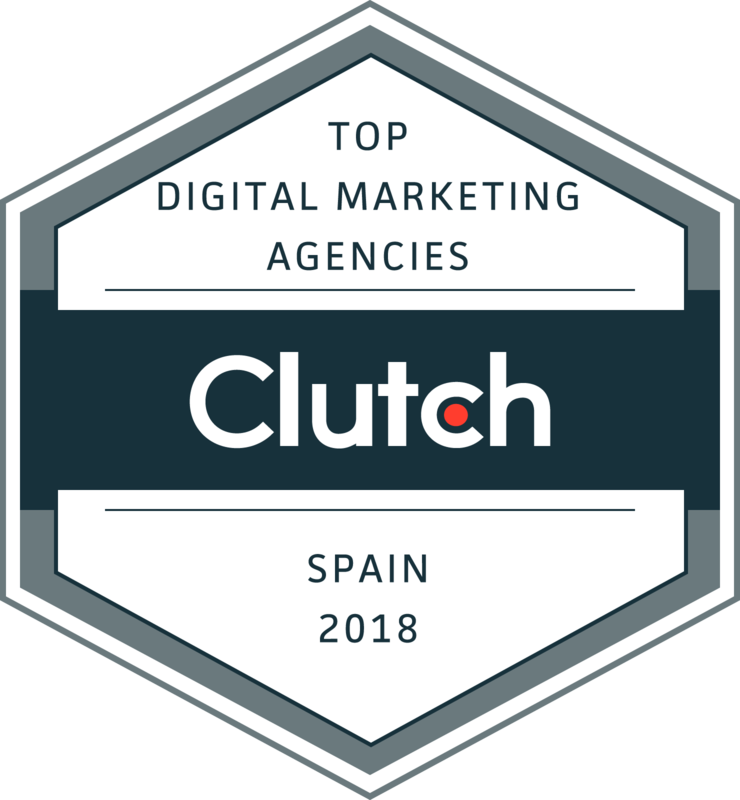 That being said, our goal was indeed to attract users to the landing page, and by using a liquid skin, we still had room to do that. An animation played on the left banner teased the separate desserts as the user viewed the page by poking itself out, still well within the frame, but placed in a way so that the name of the new flavours, appetising as they are, were shown. A Kit Kat with the words such as “Cherry Brownie” tantalisingly poked its head out if the graphic that we had framed the page with. A delicious, drool-worthy liquid skin that we animated to showcase the entire range. With video elements for each flavour, it was impossible not to reach out and grab one by clicking through to the site. And with a CTR of over 1.5 %, almost eight times the benchmark, that is certainly what people did (the diet can start next week). 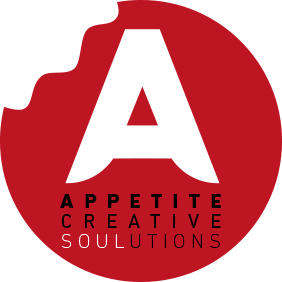 We proved that we can take a brand, perhaps the most recognisable brand in all of confectionary, and still find a way to show it off, in a new way, subtly, elegantly and effectively. 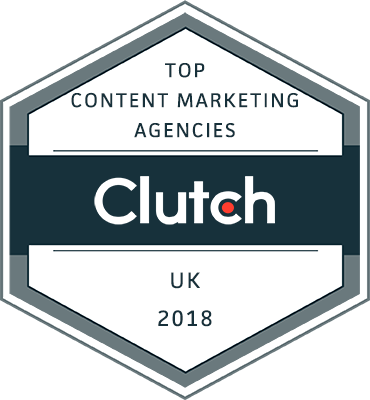 Whether working with a lesser known brand that we need to push or a world-beating, world-renowned brand that we need to live up to and then push further. Good design and build quality will always win through, though, and in this instance, the results clearly show that.